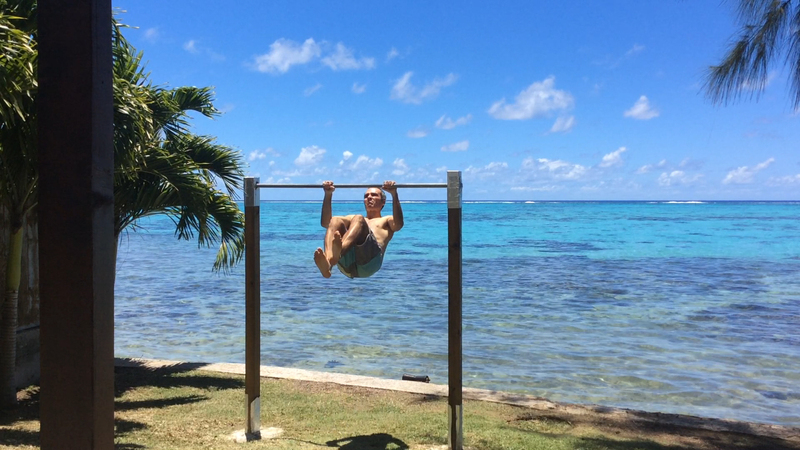 Achieving muscle up is particularly difficult to pick up. 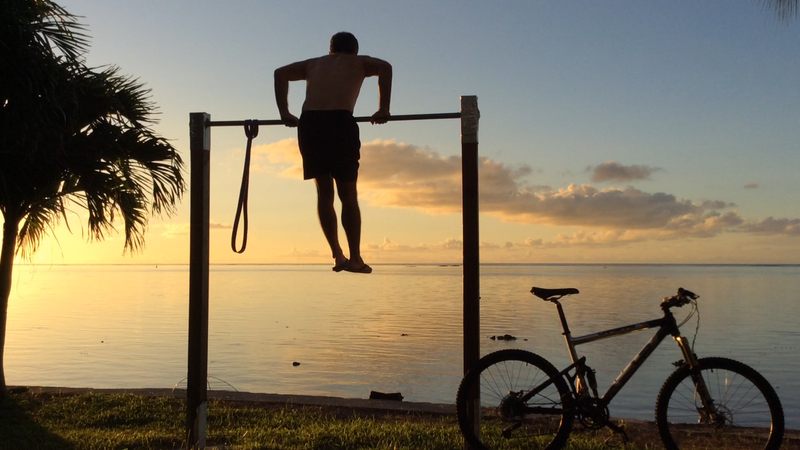 How long will it take to get your first muscle up? Well I do not have too much merit, I trained on the best spot in the world. In the same time dips : 2-2-2-max / 2-2-2-max / 3-2-2-max / 3-2-2-max / 3-3-2-max / 3-3-3-max …. 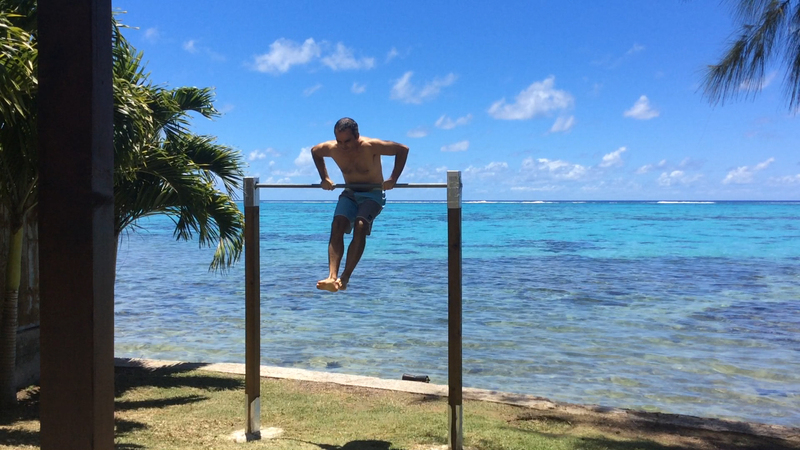 In order to strengthen the whole body we add pumps (series of 15). 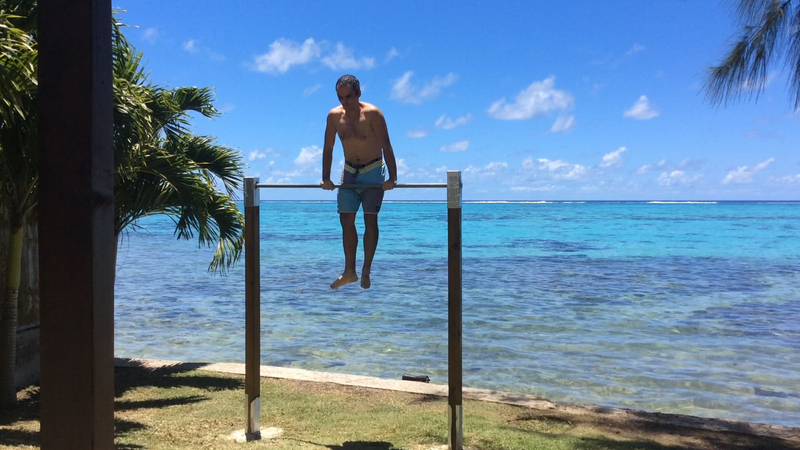 To strengthen the hands and forearms, hang on the bar and withstand as long as possible is a very good exercise. To keep the motivation and to train to the dynamic movement working with elastic bands is effective. Cool ! it looks not so difficul when we look at other practitioners, if they succeed why not me. Ok, I watch videos of guys who will give me advice on the technique, it should be better. 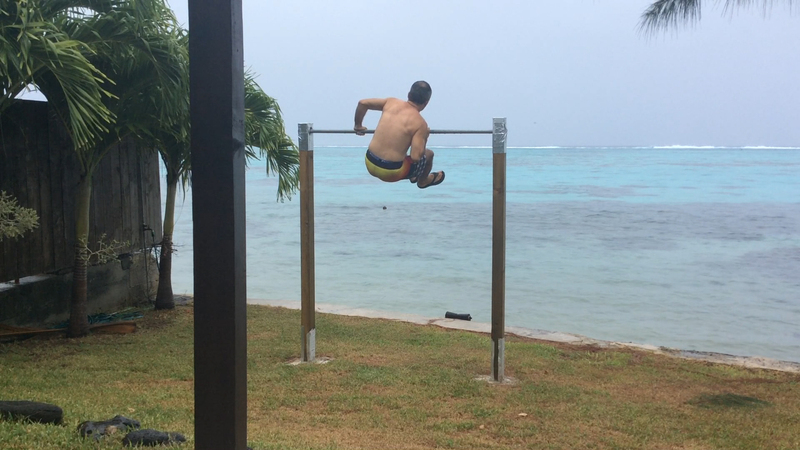 My first goal, pass 10 classic pull up and 10 dips. 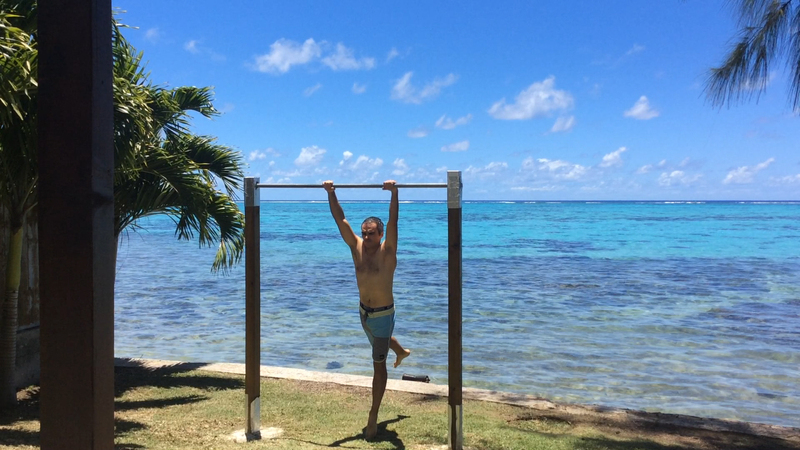 At first I do a little every day and then finally I decided to follow a program of tractions of the type: « Goal 50 pull-ups ». It progresses well, but my hands hurt while feeling that they are gradually strengthening. Quickly, I managed to achieve 5 dips and 4 pulls. After a few weeks I reach 8 pulls. 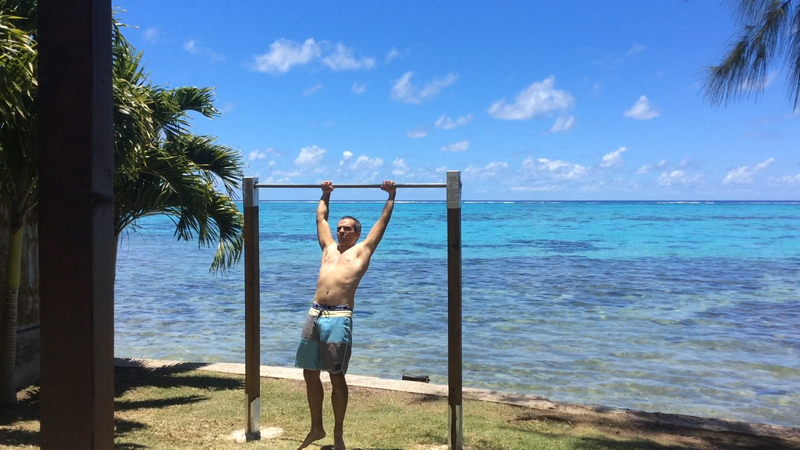 However, I feel that I am still very far from the muscle up. I lack dynamism in the climb. To motivate me and give me the feeling of moving forward, I try with elastic bands. And there it goes! it’s a first victory but the way is still long. While pursuing the goal 10 pushups, I start to gradually perform dynamic pushups. I try gradually to pass the muscle up. At first, I swing too much thinking that it will create a « catapult » effect. In fact it just destroys my hands. Then comes the hope phase because we managed to pass the bar by forcing like a donkey on an arm that, we do not know how, managed to climb above the bar. 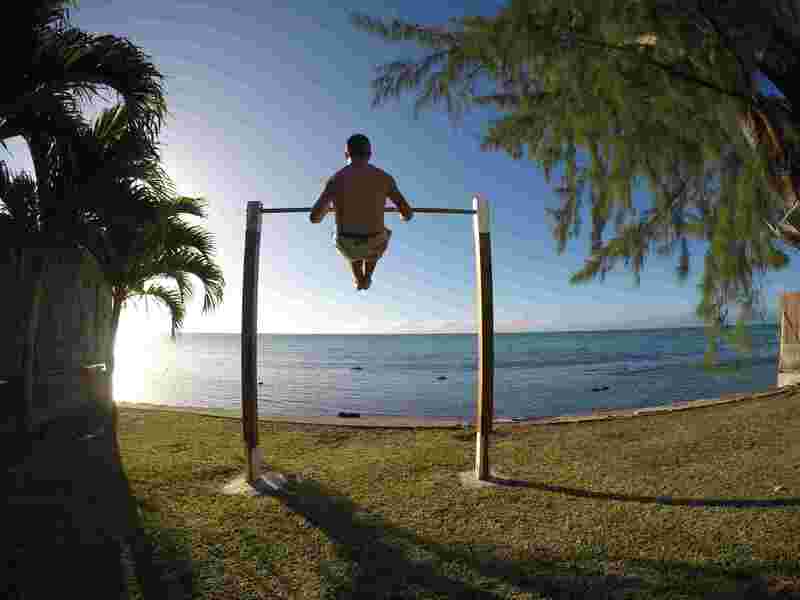 In reality, I risk the injury more than the success of the muscle up. I finally understand that I’m not strong enough yet and that we must resume pulls and dips. 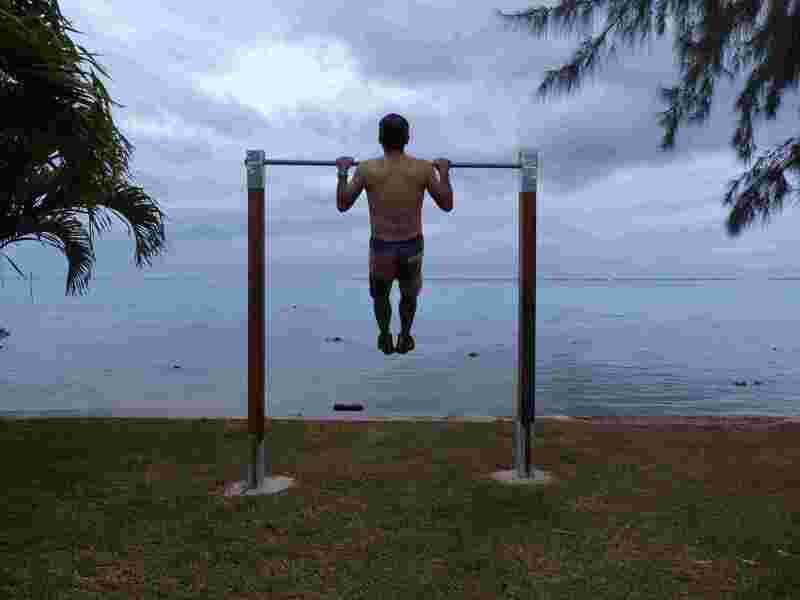 While progressing and gaining strength in the arms and hands I end up feeling a rocking movement that seem to promote the dynamism in the pulls. This is the « momentum » that guys are talking about in videos. I go on with elastics and when I try without their help, I imagine that the elastic is always present. I realize that it helps a lot. In fact, I try to stretch a virtual elastic at the end of my slight pendulum movement as if I was trying to take a pulse on a small step that would be 50 cm in front of the bar. I persevere in this way, dynamic traction is much more effective. I ride under the pecs. Now it’s about turning my body around my wrists. For that I try to move away from the bar on the rising phase of traction and I draw closer. The more speed I get, the better. To gain speed on the climb, I pull hard on the arms and at the same time I climb the legs (which took a virtual pulse on a small imaginary walk at the end of my pendulum movement) and I transmit the energy of this leg movement to the whole upper body. Difficulty, the coordination of the two movements. I will not let anything go ….